Growing up in a family of seafood lovers, I was accustomed to binging on the coastal preparation of fish, crustaceans, molluscs et al (apologies for going all Marine Biology on you). Every Maharashtrian in Mumbai is familiar with the concept of ‘fish fry’, ‘fish curry’ and everything surrounding it. With seafood being way more healthy compared to red meat, consuming it on a regular basis never tickles the guilty bone. Mumbai being a coastal city, we are blessed with fresh seafood. 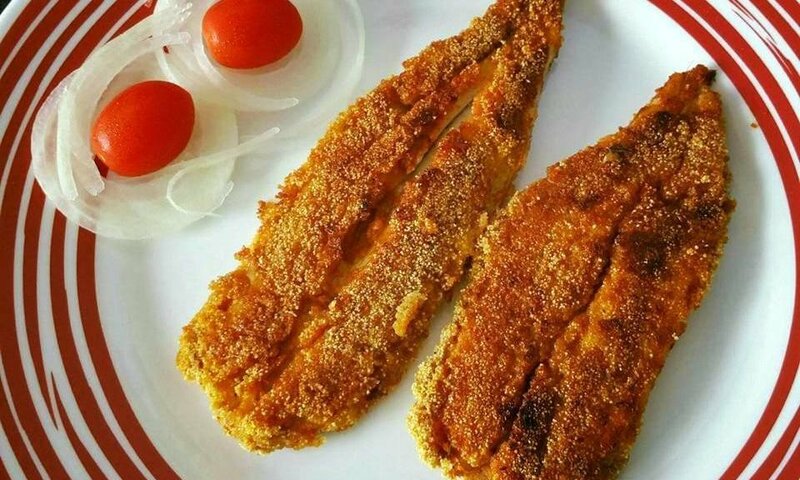 But when we talk about Mumbai and its love affair with seafood, one particular name which pops up is Bombay Duck or commonly known as ‘Bombil’. I honestly don’t remember the first time I tasted Bombil, but I definitely remember the last (because I had it yesterday). Labelled as ‘lizardfish’ on Wikipedia, Bombil has a special place in the heart of Mumbai. Named Bombay Duck in English, people unfamiliar with this do consider it to be an actual duck. A very interesting name comes with an interesting story in the backdrop. This soft, fleshy fish has a mythological story associated with it. Apparently, when Lord Rama was building a bridge to Lanka, he sought the help of all the fish in the sea. All obliged, but for our beloved Bombil. In a fit of rage, Lord Rama flung it aside, and it plopped into the seas near Bombay. Now I don’t know how true this story is, but I’m glad it was flung close to Aamchi Mumbai. The origin of the term ‘Bombay duck’ is uncertain. One popular etymology relates to the railways when Mumbai used to be known as Bombay. When the rail links started on the Indian subcontinent, people from Eastern Bengal were made aware of the great availability of the locally prized fish on India's western coasts and began importing them by the railways. Since the smell of the dried fish was overpowering, its transportation was later consigned to the mail train; the Bombay Mail (or Bombay Daak) thus reeked of the fish smell and "You smell like the Bombay Daak" was a common term in use in the days of the British Raj. In Bombay, the local English speakers then called it so, but it was eventually corrupted into "Bombay duck". Nonetheless, the Oxford English Dictionary dates "Bombay duck" to at least 1850, two years before the first railroad in Bombay was constructed, making this explanation unlikely. According to local Bangladeshi stories, the term Bombay duck was first coined by Robert Clive, after he tasted a piece during his conquest of Bengal. He is said to have associated the pungent smell with that of the newspapers and mail which would come into the cantonments from Bombay (now Mumbai). The term was later popularised among the British people by its appearance in Indian restaurants in the UK. In his 1829 book of poems and 'Indian reminiscences', Sir Toby Rendrag (pseudonym) notes the "use of a fish nicknamed 'Bombay Duck’ and the phrase is used in texts as early as 1815. 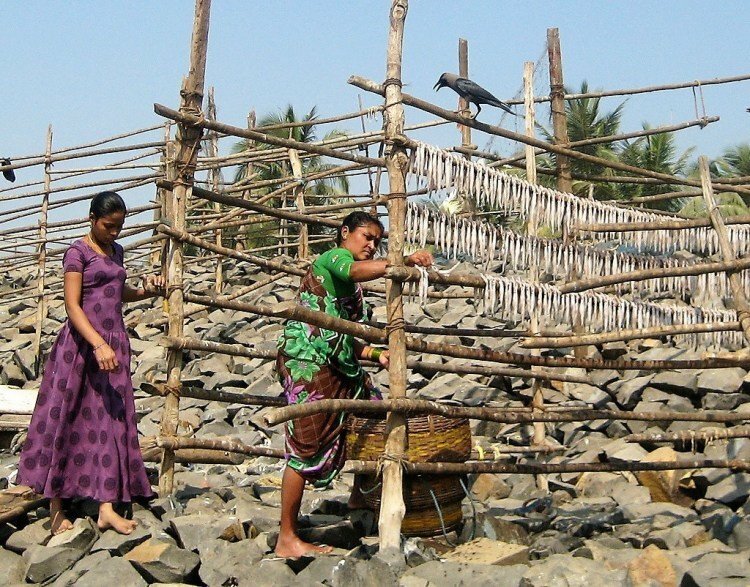 Labelled as the ‘strange fish’ for its discontinuous distribution along the Indian coast, Mumbaikars have always been possessive about this prized fish. This fish is considered to be a delicacy among many communities. From dried bombil (sukat) to Bombil Curry, there are multiple preparations for this one. My personal favourite is the classic, Bombil Rava Masala fry. With a single bone (locally known as "kaata") running along its body, this fish has many small yet soft kaatas along the flesh. People not comfortable with seafood usually feel choked while eating this, but the kaatas are so tiny, that while eating a piece of fried Bombil, you don't even notice gulping it down. While binging on crispy, fried Bombil, these kaatas aren't noticeable, but when you prepare Bombil curry or a semi-dry dish, the fish is as soft as it can get and that's when you definitely notice the bones (kaatas). Easy to eat and cook, Bombil is mainly consumed by itself or with rice. It is believed that once upon a time, 13 tonnes of Bombay duck were eaten in the United Kingdom each year. Following the discovery of a batch of imported seafood contaminated by Salmonella in 1996, the European Commission (EC) prohibited fish imports from India other than from approved freezing and canning factories. As Bombay duck is not produced in a factory, this had the unintended consequence of banning the import of Bombay duck. After a campaign to "Save Bombay Duck", the Indian High Commission approached the EC about the ban, and the EC adjusted its regulations so that the fish could still be dried in open air, but had to be packed in an 'EC approved' packing station. A Birmingham wholesale merchant located a packing source in Mumbai, and the product became available again. Bombay duck is available fresh in Canada in cities with large Indian population like Toronto and Montreal, and is generally known as Bumla. Although mainly popular with Indians from Bengal, southern Gujarat, coastal Maharashtra, Goa, and Karnataka, it is increasingly consumed by the other South Asian populations, Bangladeshis in particular. Bombay Duck has gained so much recognition over the years, that overfishing had led to the depletion of many of the seafood species, including prawns, pomfret, and of course Bombil; and one way to prevent this is to only buy it in the months of April, May, June, July, August, and September, in order to allow it to spawn. I can safely say that I've never tasted a better fish in my life, and trust me, I've consumed quite a bit of seafood over the years. But more than the taste this fish holds, it's also about the history and backstory it boasts. Born and raised in Mumbai, I have a sentimental value linked with Bombil and to every person who isn't from Mumbai and is open to trying out new seafood variety, I would recommend our one and only — Bombil.